Recreational interaction with marine mammals is not supported by the Marine Mammal Protection Act (MMPA) in the U.S. However, the MMPA does assign permits (Level A and Level B) to scientists and researchers to study dolphins in the wild. Neither the National Oceanic and Atmospheric Administration (NOAA), nor the National Marine Fisheries Services (NMFS) authorize, condone or support activities involving the attempt by humans to interact with wild dolphins, whales, sea lions, seals or porpoises. Dolphin human interaction could result in negatively affecting dolphin behavior, something that is considered harassment under United States federal law. Do not feed or pursue wild dolphins. Not only is it illegal, it is classified as harassment and may cause stress, injury, or even death. Feeding dolphins can cause them to depend on human food for nourishment and abandon hunting sites. Also, when wild dolphins are fed by humans frequently, they tend to lose their instinctual wariness of people. 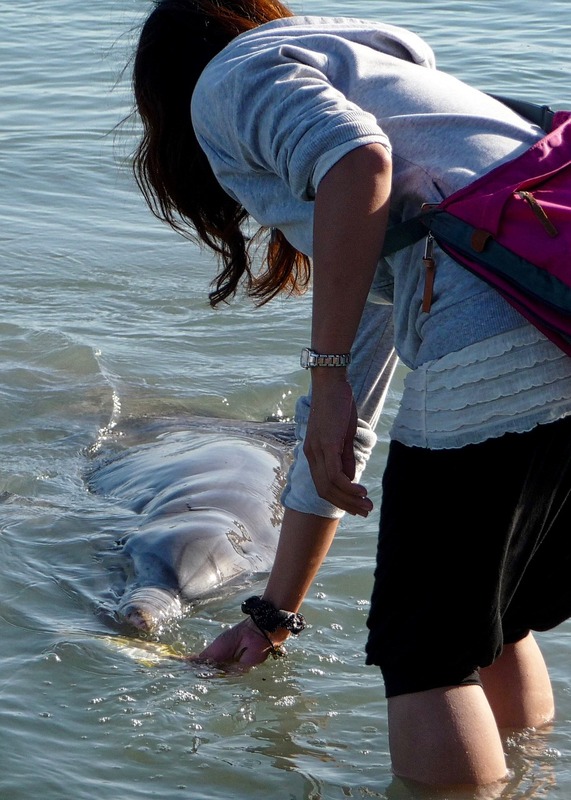 Never touch or pet dolphins, even if they come close enough to touch. Use binoculars to watch dolphins from a safe distance in their natural habitat instead. Try to remain as quiet as possible when near wild dolphins. Sudden, loud noises may startle them and could inadvertently separate mothers from their calves. If you beleive a dolphin is acting disturbed or stressed by your presence, move slowly away. For people viewing dolphins in the wild from a boat, NEVER try to entrap or circle around a group of dolphins. This may cause them to alter their current behavior trajectory, traumatize them or even physically harm them. Always put boat engines in neutral when near individual dolphins or dolphin pods. The best rule to follow when viewing dolphins in the wild is to stay 50 yards or more away from them. For whales, a distance of 100 yards (the length of a football field) is more appropriate and applicable to their well-being. 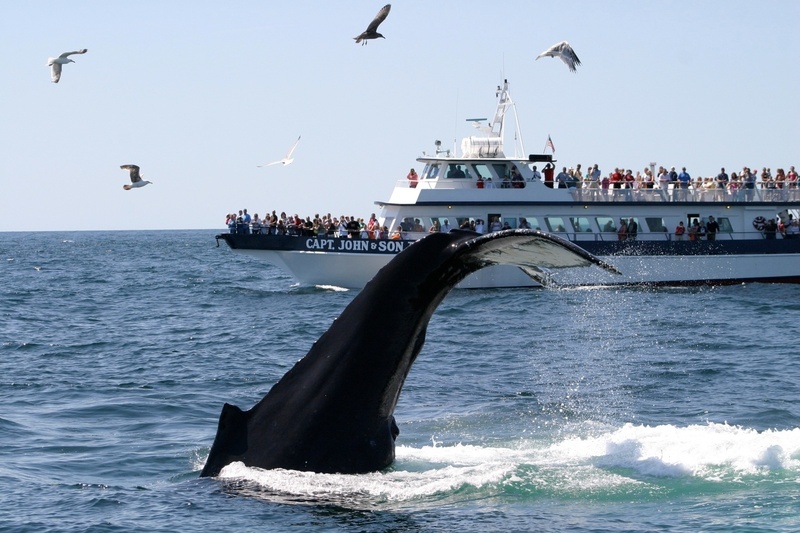 For example, whale watching tours that follow responsible guidelines is a great way to see whales in a safe and respectful manner for both marine life and humans. Under the Marine Mammal Protection Act, it is illegal to feed marine mammals. If you see someone feeding dolphins, please report them by calling the NOAA Fisheries Enforcement Hotline at 1-800-853-1964. When fishing in areas known as a dolphin habitat, do not throw unused bait into the water. It could attract wild dolphins to the area where they quickly learn to steal or even beg for fishing bait. 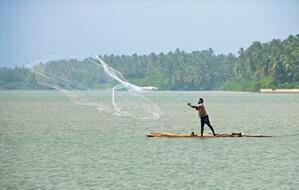 If you see or think you see dolphins in the area, reel in all fishing lines and wait for them to pass by. Also, release catches as quietly as possible away from where dolphins are congregating. If they realize caught fish are being released in a certain area, they may quickly swarm around that area and wait for additional releases. Use corrodible and circle fishing hooks to decrease the risk of injury to dolphins and other marine creatures. Hooks that are not made from stainless steel will eventually dissolve in water if they become unattached to fishing line. 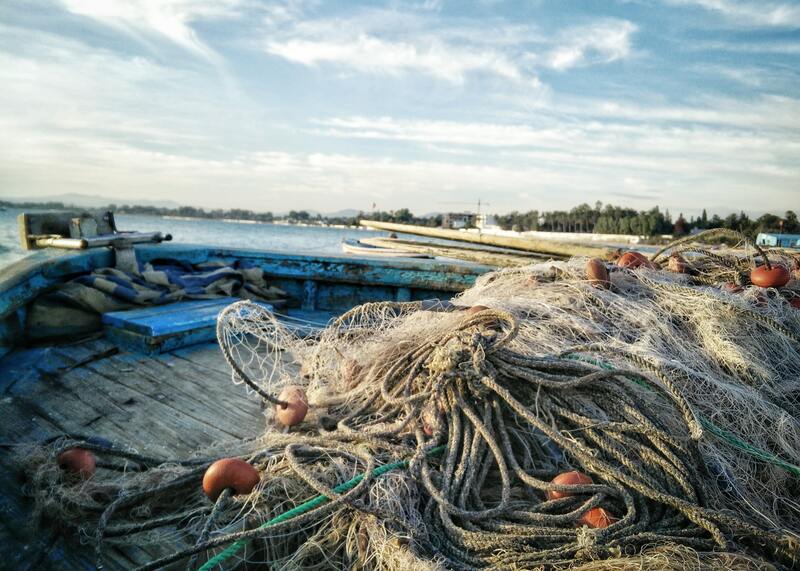 Don't discard unwanted fishing line on shores or in water. Place discarded fishing line in special recycling bins for monofilament fishing lines. In the absence of recycling bins, cut line into small pieces and throw them into a lidded garbage can. Helicopters and airplanes should maintain an altitude of at least 1,000 feet above groups of dolphins. In fact, federal law mandates aircraft remain 1,000 feet above whales (specifically, humpback whales) in the Pacific Ocean around Hawaii. Avoid taking off, landing or hovering over marine mammals whether they are in the water or on land. This is considered harassment and may inflict physical and psychological stress on them. Never fly drones over wild dolphins. The noise and nearness of drones will likely disturb natural behaviors of dolphins, especially pregnant dolphins and calves. *It is important to remember that the Federal Aviation Administration provides rules for drone operation. British researchers discovered that swimming near or with bottlenose dolphins was "incredibly stressful to the animals". As a result of their findings, these researchers have called for regulation to prevent dolphin-human interaction in the wild such as swimming because of the detrimental impact it could have on dolphins. According to Dr. Berggren, the investigation determined that tourist boats meant to allow people to swim with dolphins unsettled the dolphins and reduced the time they spend socializing, resting and feeding. Watching how dolphins behave for over a month, researchers say that resting time for dolphins (essential for their general health) dropped nearly 40 percent. Socializing and foraging behavior decreased by 19 percent and 10 percent, respectively. What can people do if they see a marine mammal violation? To report marine mammal violations, such as people feeding, attempting to feed, or harassing marine mammals in the wild, please contact the NOAA Fisheries Enforcement Hotline: 1-800-853-1964. You also may call the closest Office of Law Enforcement to report a possible violation. Information may be left anonymously.